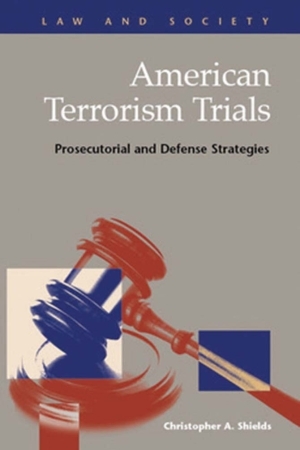 In American Terrorism Trials: Prosecutorial and Defense Strategies, published by LFB Scholarly Publishing, Christopher A. Shields examined the ways prosecutors and defense attorneys handle federal terrorism trials. He finds that they have developed politicized strategies unique to terrorism trials. Yet, he also finds that when prosecutors rely less on highly politicized prosecution strategies, conviction rates increased.